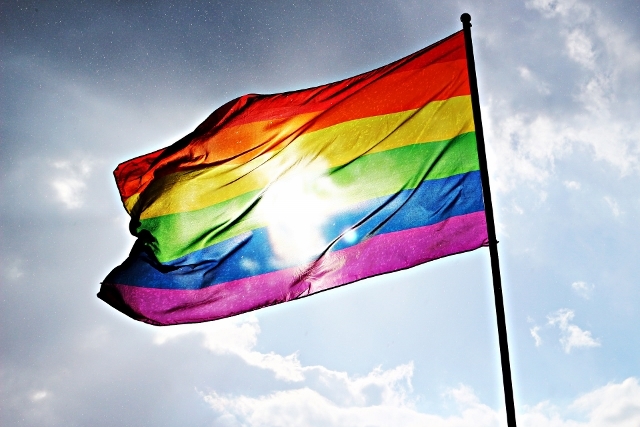 St Helens Council is pledging its support to Liverpool Pride, one of the North West’s biggest lesbian, gay, bisexual and transgender (LGBT) festivals, as part of the St Helens No Place for Hate campaign. The two-day festival (30-31 July) welcomes visitors from across the country for a vibrant and colourful march, numerous stalls, arts and entertainments, all in the spirit of equality and tolerance. To mark the occasion locally, the Steve Prescott Bridge will be illuminated from 23-31 July in rainbow colours – the symbol of LGBT pride. The St Helens No Place for Hate campaign asks residents to sign an online pledge – demonstrating their commitment to stamp out hate crime locally. Hate crime is any offence or incident committed against individuals, groups and communities because of who they are. St Helens Council’s Cabinet Member for Community Safety, Councillor Lisa Preston, said: “We’re proud to be supporting Liverpool Pride this year, and are renewing our efforts with partner agencies to make St Helens a safer place to live and work – one that embraces diversity – with our No Place for Hate campaign. The council’s support of Liverpool Pride comes after a motion carried unanimously by councillors to condemn racism and hate crime in the borough. Sign the pledge and find hate crime support at safer.sthelens.gov.uk. To learn more about Liverpool Pride and get involved, visit www.liverpoolpride.co.uk.